It's that time of year again--for the eighth May in a row, it's Blogging Against Disablism Day, hosted by the ever-excellent Goldfish. How many things last eight years online, with hundreds of quality contributions, from bloggers all over the world? This has. This year, I'm on another cranky rant--about bad history. Bad disability history, to be precise. It's all too common, it doesn't help fight disablism, and in fact it often hurts the cause. The classic example of bad disability history is the faux etymology of "handicap." Maybe you've run into the mistaken notion that "handicap" is somehow related to the phrase "cap-in-hand," a reference to a beggar's gesture, removing one's hat in humility, before asking a favor. It's still easily found on some organizations' websites and even state agencies' sites (but I'm happy to see that there are many fewer such appearances than I saw ten years ago). It's been common enough to be included in Wikipedia's "List of Common False Etymologies," which is worth a visit whenever one of these chestnuts comes along. Anyway, Ron Amundson wrote the definitive debunk of this tale, and it's also clearly labeled "false" on snopes; but that doesn't keep it from being circulated (that link will take you to a 2011 textbook that tells the false etymology as fact). If your book or website includes this nonsense, I'm going to wonder if the rest is also cut-and-pasted from a dodgy source, without any effort to fact-check. Bad history hurts the cause. 1. 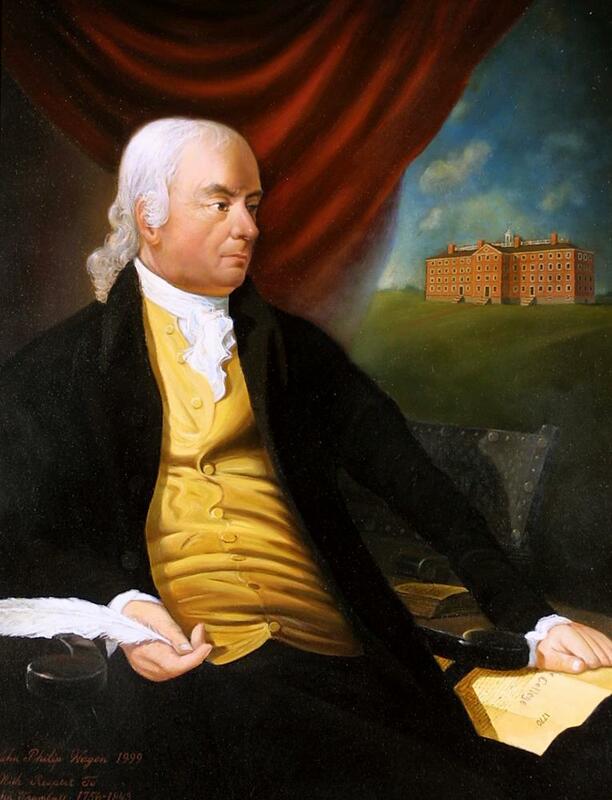 Hopkins had a shaky signature on the Declaration. 2. Hopkins is said to have acknowledged his shaky handwriting in the moment, with the statement "My hands may tremble, but my heart does not." "The records of the town of Scituate for these ten years [1736-1746], in his handwriting, are still in good preservation, and are of interest from their legibility and neatness. Written before the nervous difficulty of his later years..."
In mid-life, Hopkins' writing became less and less legible; eventually he hired an amanuensis, someone to do his writing for him. His palsy was progressive, with onset well into adulthood. That could match a lot of diagnoses, but it doesn't sound anything like cerebral palsy. Remember, starting a sentence with "many medical historians believe..." doesn't get anyone off the hook from bad history. Which medical historians? When, where, why? Again, if your book or website includes assertions of fact that are easily contradicted by evidence, I'm going to wonder what else it says that I can't trust. Bad history hurts the cause. Finally, here's a quick one, but I'm seeing it a lot lately in disability-focused spaces. 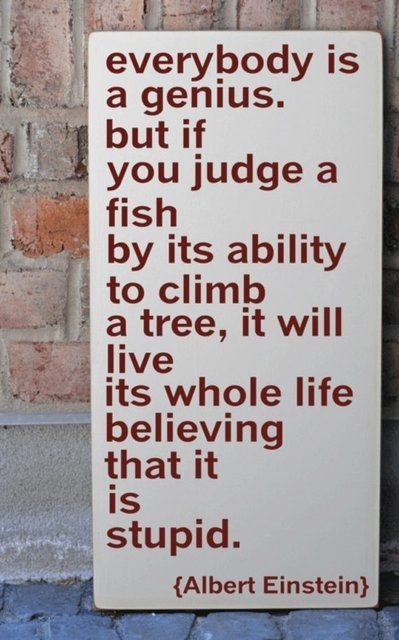 Albert Einstein never said this quote about fish climbing trees. Doesn't matter what cute sign or graphic you saw on pinterest, he just didn't. The quote seems to have first appeared in a self-help book in 2004, quite a long time after Einstein's passing; wikiquote has it under unsourced or dubious/overly modern. Misquotes are pretty easy to look up in the 21st century. Good history checks the source, finds a title and page number, before using a quote (or making a cute sign with it). Again, the appearance of a well-known misquote throws everything around it into question. Bad history hurts the cause. Please be scrupulous about the disability history you use to fight disablism; a solid assertion of fact is powerful! Faux etymology, misattributed quotes, and garbled legends, not so much. Also, those things make me really cranky. Want to learn more? Come visit the Disability History Association website--or become a member! Join the H-Disability listserv, now in its twelfth year. Excellent post, as always - thanks for being the first BADD poster this year and the only person who has blogged for every BADD so far (even I didn't manage to write something myself every year). The handicap false etymology is really common in the UK. But the trouble is, because it's become almost taboo for that reason, it's generally only used by people who don't know or care a thing about disability rights. So while not offended by the word per se, whenever I hear it said by a British person, it gets my hackles up and I expect them to say something ignorant.